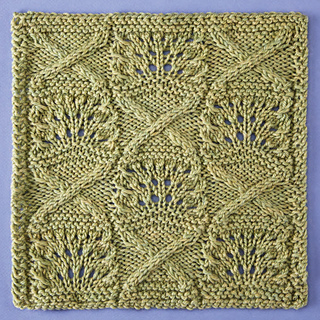 Nico’s design features an updated XOXO pattern with an openwork leaf pattern filling in for the O’s. 19 sts x 27 rows = 4” (10 cm) in Stockinette Stitch. An update for this pattern has been issued as of 3.20.17. The updated link is: Cascade_Knitterati_Afghan_NICO__7R1A.pdf. Please make sure you are using the most current version of this pattern. For extra help with Block 7 visit: Cascade Yarns® Block 7 Project page.